SweetRush heads to Europe to present its array of Learning and Development (L&D) services and a new platform for VR content distribution for corporate learning on the show floor. 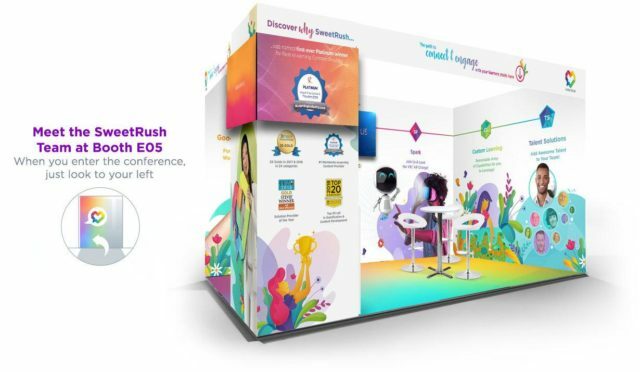 San Francisco, Calif., January 28, 2019 — Attending Learning Technologies (London, February 13–14) for the first time, SweetRush will demonstrate to 6,500 attendees why many consider SweetRush the world’s most creative L&D vendor. SweetRush will display all its capabilities, and key personnel will be in attendance to connect with current European client-partners and engage with new ones. And rolling out at the show is the SPARK VR Platform. Always pushing the envelope in learning engagement, SweetRush created its SPARK division to focus on virtual reality and emerging technologies. 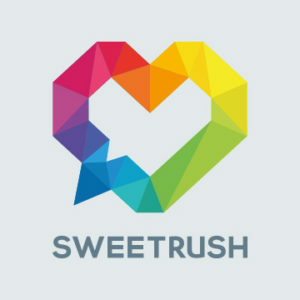 Coming off a number of high-profile and successful projects (and garnering a prestigious Gold CLO Learning in Practice Award for a VR project), SweetRush discovered that each of its corporate learning client-partners faced a daunting VR content distribution challenge, which was inhibiting adoption of this new and exciting immersive technology. Research showed there was no off-the-shelf solution, so SweetRush created the SPARK VR Platform to allow enterprise clients to download and update VR experiences quickly and easily. A First-Time Booth and Seminar Round Out the Show! SweetRush is known for creating highly engaging and effective solutions, and these will be on display in the booth. And on the first day of the conference, SweetRush will give a fast-paced, 30-minute presentation in Theatre 1 at 2:00 p.m. (14:00), showcasing its five services: Custom Learning, SPARK (emerging technologies), Cultural Transformation (and change management), Talent Solutions (staff augmentation), and Good Things (supporting nonprofits). This presentation will be conducted by John-Carlos Lozano, Chief Creative Officer; Annie Hodson, Solution Architect; and Ashley Munday, Director of Cultural and Organizational Transformation. “If you’re attending the show, please come by and say hello. We’d love to make your acquaintance. We will be at Booth #E05; you can’t miss us as we are direct to your left as you enter,” said Arturo Schwartzberg, Cofounder of SweetRush. For more details and to connect with the SweetRush team, please visit our Learning Technologies information page. SweetRush’s focus on team culture and mastery of performance improvement is reflected in loyal clients, a near-zero turnover of teammates, a 17-year track record of success, and a remarkable portfolio. Our work with clients has earned us gold awards from our peers and high ranking on the top training industry lists. We are over 150 people strong and have been in business since 2001. Our five service areas include Custom Learning (including eLearning, mobile, gamification and classroom training), Talent Solutions (temporary talent to augment our clients’ L&D teams), SPARK (VR, AR, and emerging technologies), Cultural Transformation (culture, change management and communications), and Good Things (custom learning for non-profits and the social impact space). Every day, we give thanks for the trust of our world-class clients. “The platform allows clients to easily distribute VR anywhere in the world, within a user-friendly interface. It’s a great solution for VR content distribution for corporate learning,” says John Cleave, PhD, Learning Technologist at SweetRush.